Pages: 223 including appendices, index, notes, bibliography, and coloured plates as well as black and white ones. Synopsis: Some 2,000 years ago, certain unfortunate individuals were violently killed and buried not in graves but in bogs. What was a tragedy for the victims has proved an archaeologist’s dream, for the peculiar and acidic properties of the bog have preserved the bodies so that their skin, hair, soft tissue, and internal organs―even their brains―survive. Most of these ancient swamp victims have been discovered in regions with large areas of raised bog: Ireland, northwest England, Denmark, the Netherlands, and northern Germany. They were almost certainly murder victims and, as such, their bodies and their burial places can be treated as crime scenes. The cases are cold, but this book explores the extraordinary information they reveal about our prehistoric past. Bog Bodies Uncovered updates Professor P. V. Glob’s seminal publication The Bog People, published in 1969, in the light of vastly improved scientific techniques and newly found bodies. Approached in a radically different style akin to a criminal investigation, here the bog victims appear, uncannily well-preserved, in full-page images that let the reader get up close and personal with the ancient past. 78 illustrations, 15 in color. There was a program I used to watch on the History Channel where a team of archaeologists, doctors and scientists would look at mummies and try to find out who they were, how they have lived when they were alive and how they may have died. This is exactly what Miranda Ald-house did in this book. The author looks at how the bog bodies were found and where, the circumstances of their preservation (i.e. the bog where they were found), who they may have been and their lives before they died as well as how they died. In the final chapter of the book the author tries to tie in these bodies with the human sacrifice aspect. 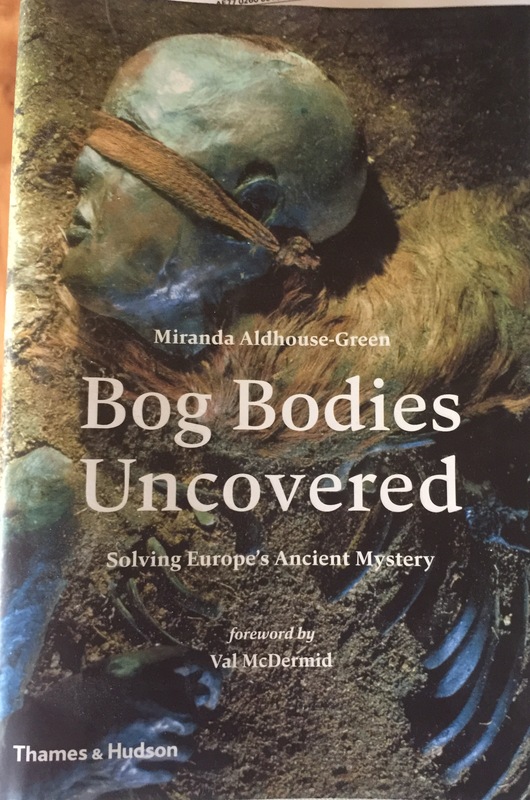 I think this is a great book to read because it has some interesting explanations on why the bogs preserved the bodies, and how some of these bodies lived and how they died. It looks at the question of human sacrifice in a logical way and comes to great conclusions. Plus it is not very technical, or boring. The book is set up like a detective story where the cases are cold. Pages: 90 pages including 2 appendices, bibliography and endnotes. Text only 74 pages. Another winner from Morgan Daimler. Though my complaint with these kinds of books will always remain the same [I WANT LONGER BOOKS!!!] but with the same simplicity of the Pagan Portals books. 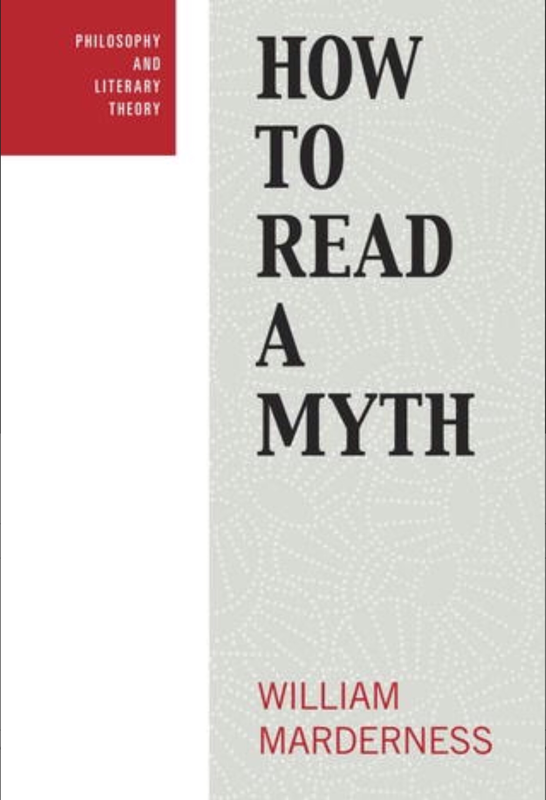 Apart from the Introduction, Conclusion and 2 Appendices the book is made up of six chapters. Chapter One: Meeting Brigid – In this chapter the author discusses Brigid’s relationships (who her parents might be, her husband, her children), associations (the other Brigids from the different Celtic cultures), and the many Brigids (Is Brigid one deity, three deities, or six deities?). Chapter Two: Brigid by Other Names – In this chapter we start getting into the nitty gritty of Brigid. Daimler takes a look at Brigid in Celtic cultures. She starts with Gaul, goes on to England, then Scotland, then Wales, and then she discusses the Pagan Goddess and Catholic Saint. Chapter Three: Brigid in Mythology – In this chapter Morgan takes us on a tour of the sources. She talks about where we can find Brigid not just in Irish materials but also in Scottish, Welsh, and Manx materials. I especially liked this chapter because I found myself looking up the materials mentioned and everyone knows how much I love discovering new (to me) sources. Chapter Four: Symbols, Animals and Holidays – As the title of the chapter tells us, it talks about symbols, animals and holidays associated with Brigid. I also like that the author added in a section on divination because I’m always on the lookout for information on that. Chapter Five: The Goddess in Modern Times – Flame-tending, offerings, altars, modern myths and a guided meditation are all things you will find in this chapter. 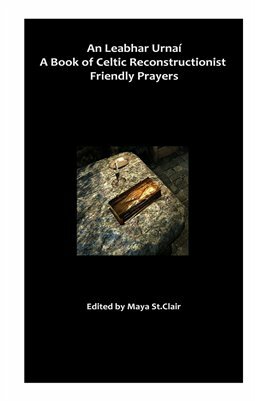 Chapter Six: Prayers, Chants and Charms – Apart from chapters two and three, this is my favourite chapter. I’m always looking for new prayers to add to my daily routines and this chapter did not disappoint, there is something in there for everyone. This is a well written and well researched book, but that is what I always know is going to happen when I see Morgan Daimler’s name on a book. The text is something that anyone can pick up and read without any background knowledge and come out of it with more than they bargained for. But it is not just a book for newbies, it is also a book that someone who has been worshipping Brigid for a long time can pick up and learn something from or just brush up on something they may have forgotten. As with all of Morgan’s books she adds a touch of herself by giving us an insight into her own practice when worshipping Brigid, and truth be told this is one of my absolute favourite things in Morgan’s books. She is certainly brave in sharing her UPG with the reader and opening herself to criticism from the people who don’t agree with her (or heck with the ones that do but don’t agree with one of her interpretations!). This is a great resource for anyone interested in Brigid and wants to learn about Her or unpack all that they have read about Her in books and websites.